Built in 1895 by the Webster brothers. Royal, James & Joseph. 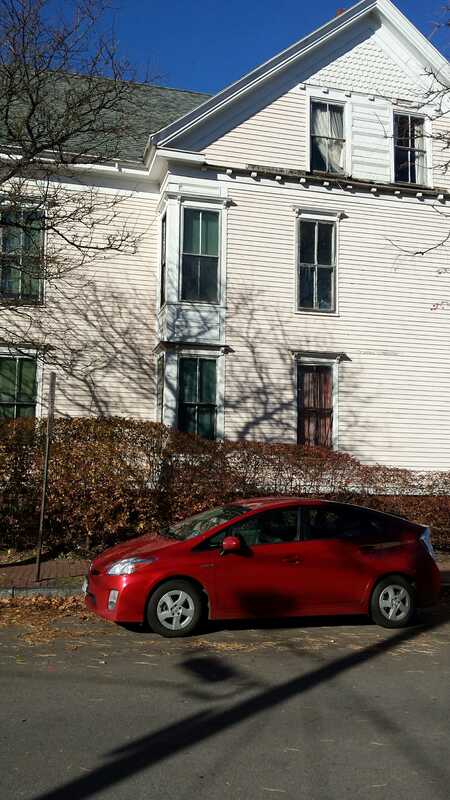 Situated on the northwest corner of Emery and Taylor streets, this may be the first purely ‘spec house we have seen. When the Webster brothers bought the land for our subject, they were in the middle of a decade of buying lots and selling houses. More on that in a bit. 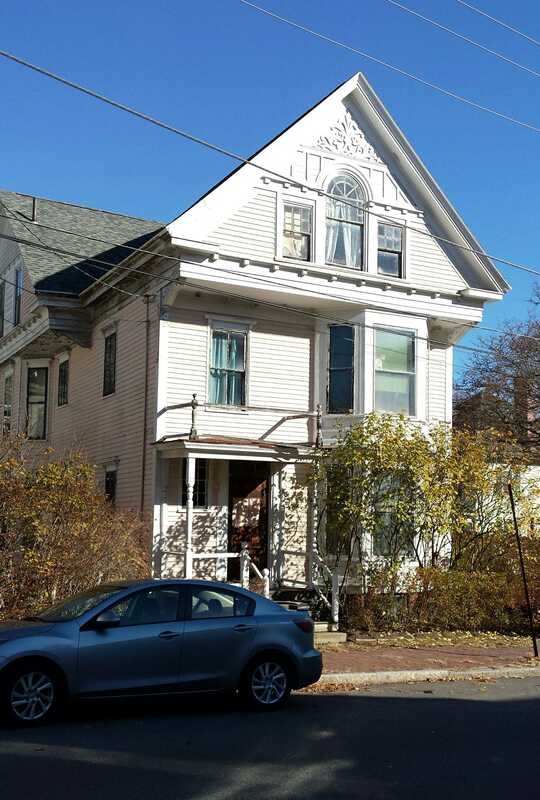 This is the textbook example of a latter 19th century single family Queen Anne style home. The porch is a sad thing. 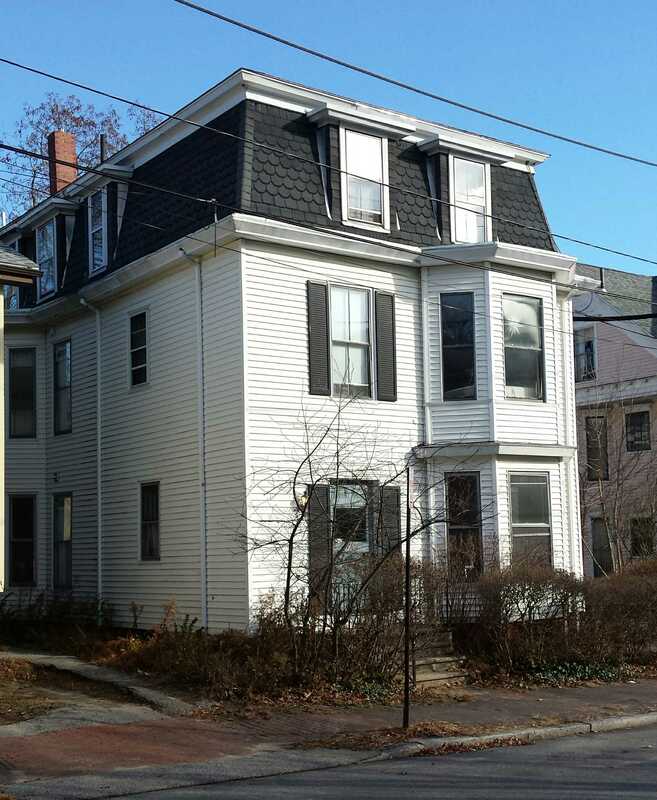 Much too diminutive to stand against the 2 story bay to the right and overhanging eaves above. The posts are spindly and lack substance. They hardly seem big enough to carry the weight of the roof above. 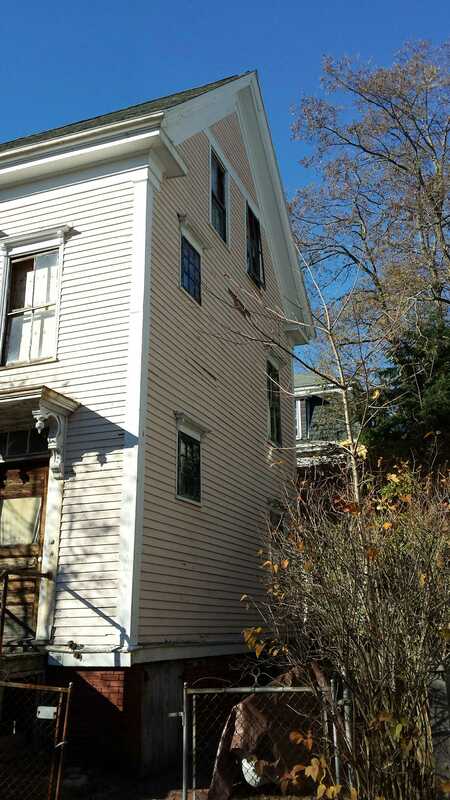 The palladian window and woodwork in the gable are worthy of mention. The window is a bit large for the space but it is functional as well as aesthetically pleasing. The profile and patterns of the mullions helping to lighten the feel. The line of the spring points of the center,arched, window is emphasized with a projecting molding with overscaled dentils below. In essence creating an architrave. Above the architrave, the wall space is covered in clapboards overlaid with a fine stick motif. The uprights are extremely well scaled and create a wonderful pattern of light and shadow, solid and void, across the space. This is capped with a slim, stepped, molding above which is a scroll cut fluer de lis overlay at the peak. 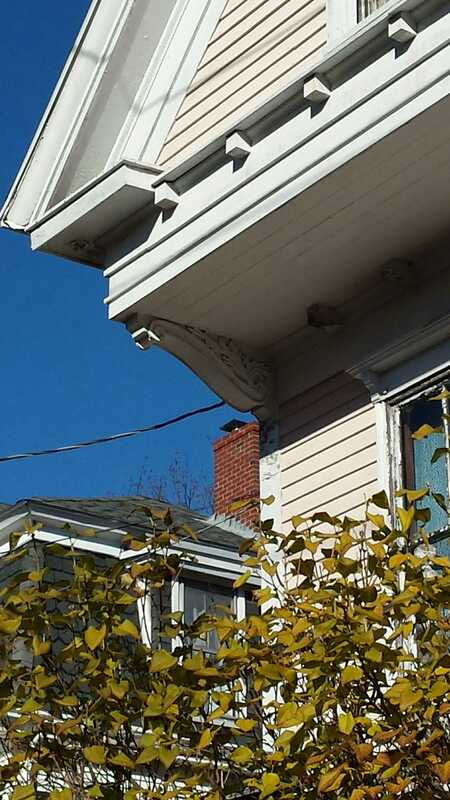 The cross gable on the Taylor Street has some quality work as well. 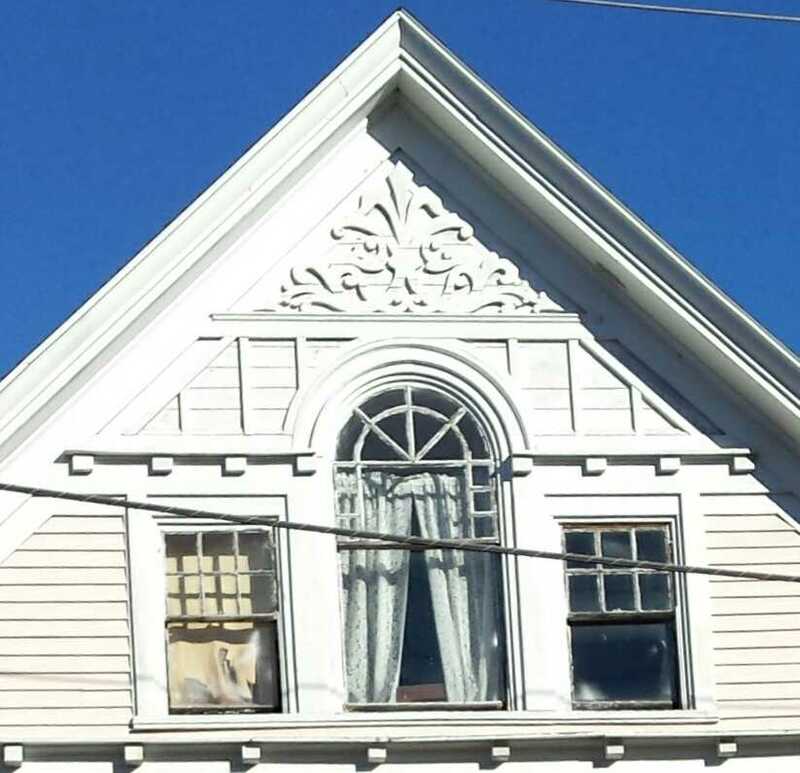 The paired and panelled corner window motif is particularly nice and not something often seen in Portland. The panelling detail is carried into the heavily molded pediment above where it connects the third story windows. The lightly scalloped shingles above softening the composition. The details of the gables and corner windows are much more apparent in the 1924 photo when they were painted a contrasting color. The Webster brothers purchased the lot our subject sits on from Charlotte Emery in 1895. Charlotte’s father and grandfather were prominent local attorneys and judges. The family home stood for many years on the corner of Danforth & Emery Streets. The site is now the home of St Louis Polish Church. Charlotte died in 1905 and was buried in Western Cemetery. The property described in the 1895 deed encompasses an area quite a bit larger than our subject property. It contained what is now 67 & 73 Emery as well as 29 through 35 Taylor Streets. 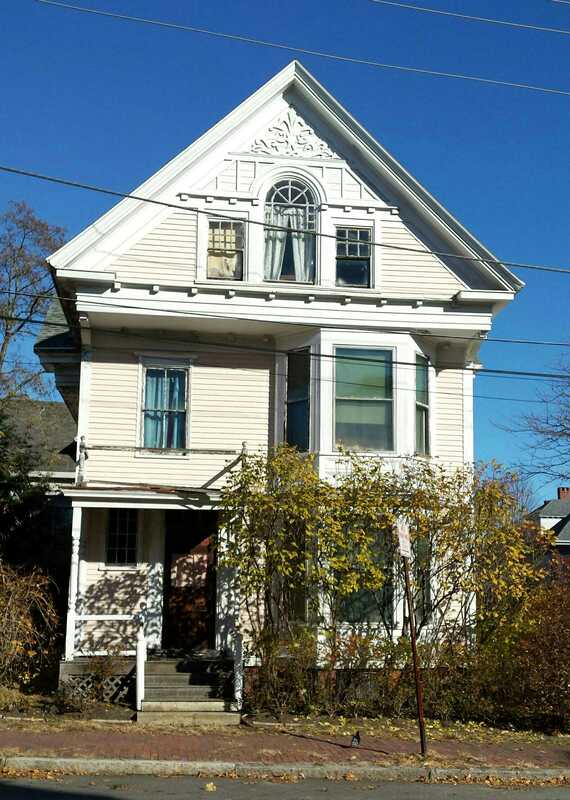 The Portland Historic Resources Inventory of 1976 lists 73 Emery as built by the Webster brothers in 1896. More research is needed to determine if they also built the homes on Taylor. As mentioned above, the Webster brothers were in the middle of a very active decade when they built our subject. In the period between 1890 & 1905, they made 20 purchases of empty properties in Portland. They were originally from Gray but were listed as residents of Limington on the deeds and in the 1900 census. 73 Emery Street. Included here as I am not sure if it will have its own post. The Webster brothers retained ownership of the home until 1902. I would guess they rented it as the country saw a pair of financial downturns in this period. In July of 1924 William & Elizabeth Casey bought the property and, as such, were the owners of record for the 1924 tax roles. The Casey’s sold the home in October of 1931 along with an existing mortgage of $3700 ($58,850 in 2016). The current owner purchased the property in 1998. In it’s current condition, swathed in cheap white paint and in suffering from deferred maintenance, the house is very uninviting. It’s location marks a boundary between a working class neighborhood to the east and a more affluent upper middle class neighborhood and private school to the west. In a way, it symbolizes this dichotomy in its stylistic grandeur and run down status. 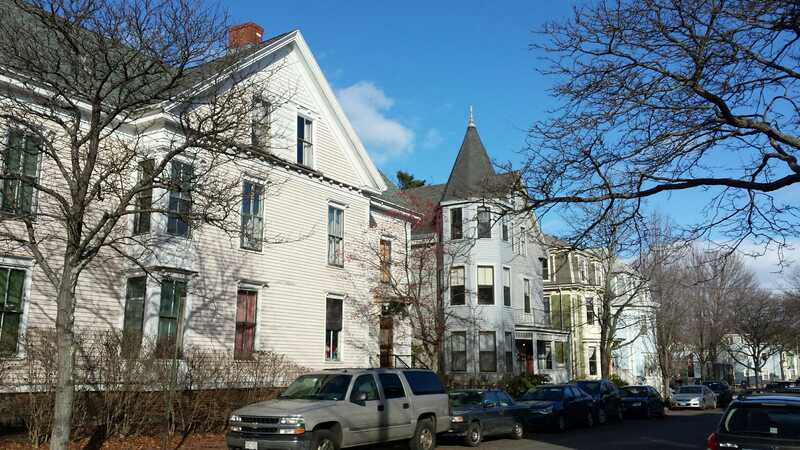 This entry was posted in Architecture, Emery Street, History, Images, Queen Anne, Royal Brothers, Then & Now, West End Walks and tagged 19th Century, Architecture, History, images, Maine, mansard roof, Portland, Queen Anne Style, West End on December 8, 2016 by alewifecove.